Perhaps the most compelling gangster tale is one that has been, until now, surprisingly well hidden. 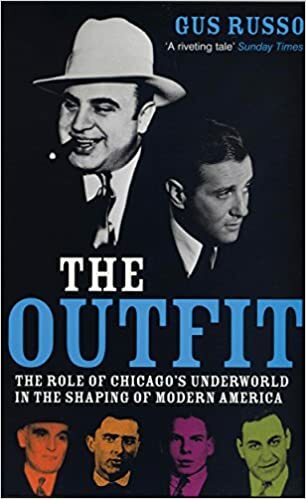 This is the story of the Outfit: the secret organised crime cartel that began its reign in prohibition era Chicago before becoming the puppet master of Hollywood, Las Vegas and Washington DC. Moving with purpose and panache, the Outfit blended effortlessly with underworld corporate heads, Hollywood moguls, and national political icons. It was only after a fifty-year run that their world started to crumble in the 1970s. With extensive research including recently released FBI files, original interviews with Outfit associates and members of the Fourth Estate (who pursued the Outfit for over forty years) and first ever access to the journals of Humphreys' long-in-hiding widow, veteran investigative journalist Gus Russo uncovers sixty years of corruption and influence.